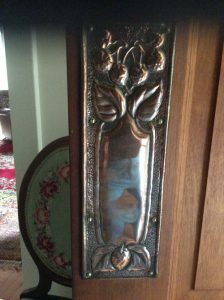 Copper door plates creation date unknown . Who was Nellie Payne? 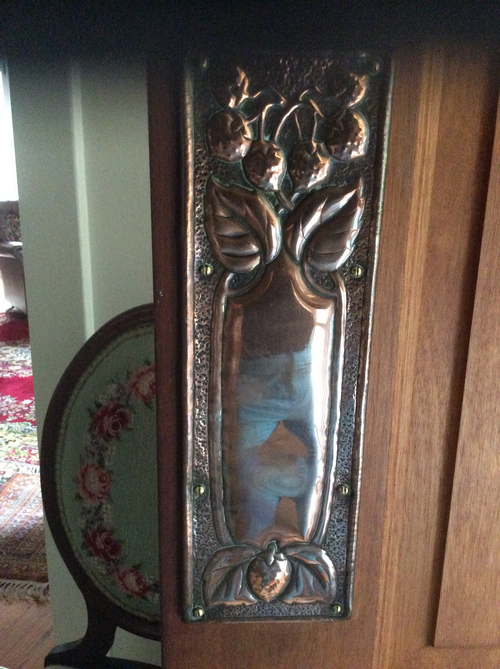 These copper door plates were worked for the home of Mollie Pedley, Nellie’s niece. They are currently greeting family and friends on the home of Mollie’s son and daughter-in-law, Ted and Peg Pedley. It is known that Nellie worked in copper, but it is not known whether these are her work, or the work of her sister Ethel.